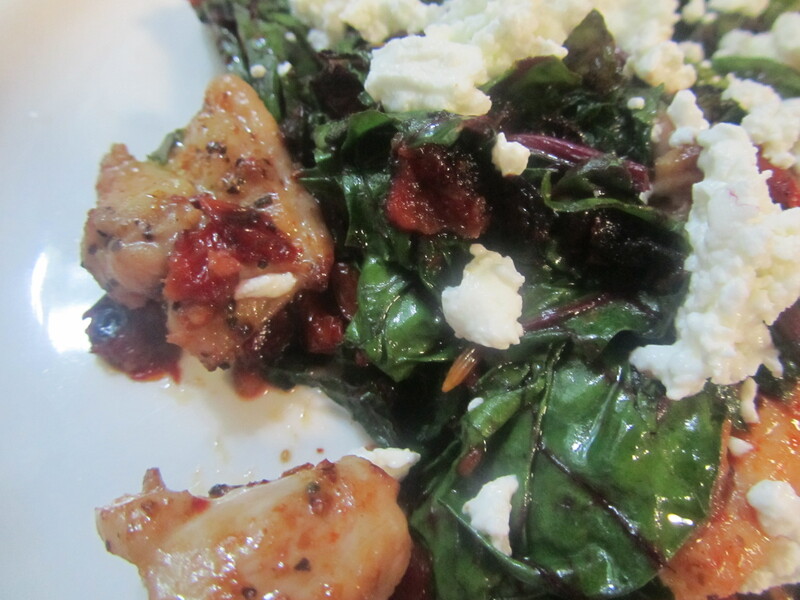 Chicken, Bacon, Dates and beet greens. Total yum! A recipe I’ll share next week! This week I’ve been exploring some new recipes from some of my favorite food bloggers. All of them are gluten and refined-sugar free. I wanted to share some of these fantastic recipes with you today. Enjoy! Slow-Cooked Coconut Ginger Pork: The juice this dish produces in the crockpot will blow your mind. It is so succulent. About 30 minutes before it was done cooking, I threw in some baby spinach and sliced carrots which added a nice nutritional punch, plus some color. If you do grains, you could serve it over rice. Otherwise serve it in a bowl. You’ll want to drink the liquid for sure! Rosemary Spaghetti Squash Egg Nests: I’m realizing that I have quite a few vegetables I’ve avoided over the years because of some less than pleasant early experiences with them as a child. Spaghetti squash was one of them. However when I saw this recipe from the Urban Poser, I knew I needed to give it another chance. I am SO glad I did. This is awesome, and quite filling. One is more than enough to fill you. Next time I make it I’ll prepare the nests ahead of time, and then I can cook them with the egg inside when I’m ready, and I can keep the yolks gooey (they cooked solid before the nests were done.) This makes a great breakfast or even dinner. Red Chicken Coconut Curry: OK, this one is one of mine. But it’s a meal that comes together SO quickly, that I had to include it. In 20 minutes, dinner is done! Blueberry Pumpkin Pie Protein Shake: It’s pumpkin pie in a glass. No lie. I’m not even all that big a fan of pumpkin pie, but I LOVE this shake. And the best part is that it leaves me full and totally energized all morning. Coconut Cream Pie Larabar Recipe: I’m a big fan of Kind bars, and typically prefer them to Larabars. But when I was in the grocery store this week I was starving and saw these in the checkout line so I picked one up. TOTAL yum! Because I don’t love the price on any of these bars I quickly looked up a recipe on how to make them at home. This one is great. Cinnamon Bun Muffins: This is the first recipe I ever made from the Elana’s Pantry food blog, and it’s still one of my favorites. (I replace the agave with 100% pure maple syrup.) Make them. You can thank me later! Do you have some favorite gluten and refined-sugar free recipes? Please share them in the comments! September 1, my beloved Starbucks started selling the Pumpkin Spice Latte once again. Now while I am normally a black coffee purist, I must admit that I have an unhealthy obsession with the Pumpkin Spice Latte. All those fall flavors are just outrageously good together, and I find myself missing them in the summer when they’re not available. This year, however, my family is on a stricter budget due to the economy, just like everyone else. However I don’t need to give up my favorite treats altogether! Here are my home versions, and you can make enough for your entire family, for about the price of one serving at Starbucks! 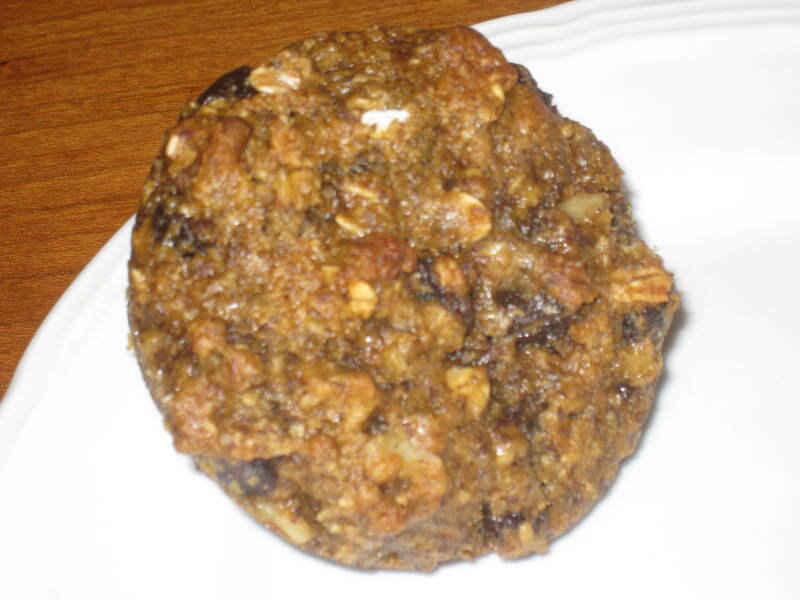 Combine spice cake mix, egg, pumpkin, and pecans in a bowl until combined. Evenly divide mix among 12 muffin cups. In a small bowl, combine butter, brown sugar, oats, and flour. Evenly divide brown sugar mixture among 12 muffins, spreading over the top of the pumpkin batter. Bake at 350 degrees for about 25-30 minutes, or until tester comes out clean. Serve, preferably with pumpkin spice lattes. While your cupcakes are in the oven, whip up a pumpkin spice latte to enjoy with it! In a blender, combine the pumpkin, milk, 1/2 cup of cream, brown sugar, cinnamon, nutmeg, cloves, and vanilla until smooth. Transfer mixture into a saucepan, and heat on low until warm and frothy, stirring occasionally. Remove from heat. While pumpkin mixture is heating, brew the coffee. In a small bowl, put the remaining 1/2 cup of heavy cream, 1 Tbsp powdered sugar, and 1/8 tsp pumpkin pie spice. Whip with whisk until soft peaks form. Pour 1/2 cup of pumpkin mixture into each cup. Top with black coffee. Top each drink with heavy cream, and a sprinkling of nutmeg and cinnamon.